Use microwave oven for warming, reheating or cooking food. Fort Collins Utilities is partnering with Colorado State University and the City of Loveland on the Drive Electric Northern Colorado (DENC) initiative. The initiative aims to ready our communities for electric vehicles and make Northern Colorado a national leader in electric vehicle deployment. The benefits of electric vehicles closely align with City policy around reducing carbon emissions, providing highly reliable electric service and enhancing local economic health. 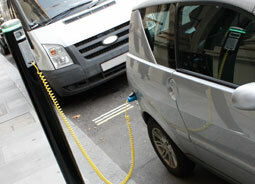 Learn how to prepare for a new electric vehicle. Visit Drive Electric Northern Colorado or contact Utilities to learn more about electric vehicles in Fort Collins. The following information will provide you with some basic information to help you determine if a new EV is right for you. Preparing for your new Electric Vehicle. Decide which type of EV you want to buy (hybrid or all electric vehicle). 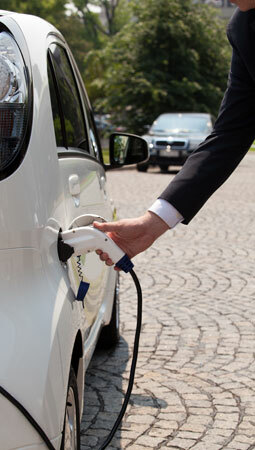 What will you use to charge your EV, a 120-volt (Level One) or a 240-volt (Level Two) outlet? Will you install an in-home240-volt electric vehicle charging station? It is the home and business owners' responsibility to obtain EV technical requirements from the car dealer and charging equipment manufacturer. Step 2. Prepare your home or business. As the home or business owner, it is your responsibility to contact a licensed electrician to ensure the appropriate electric facilities are installed in your home or business. The City of Fort Collins Building Services Department can provide information about required permits, fees and inspections. You may choose to contact your electrician to determine if the electrical panel and wiring on your home or business can support charging an electrical vehicle. You may need to hire an electrical contractor to assess and modify your electrical panel and/or wiring. Note: Costs may be associated with the upgrade. You may need a building permit to complete any necessary electrical work. Contact Fort Collins Utilities for potential service upgrades to your service. Complete any panel and wiring upgrades (contractor, electrician or homeowner). Complete the necessary service installations or upgrades (Fort Collins Utilities). Install the electric vehicle charging station (contractor or homeowner). Contact Building Services for any required final inspections (contractor or homeowner).